Spring has me feeling the bright colours lately, and check out the bright aqua that Wize Monkey has chosen for their Minty Marvel! I’m a picky herbal lover, and I really have to be ‘in the mood’ for certain flavours – mint being one of them. I was happy to open up the packaging on these sachets to give them a try. Minty Marvel comes in pyramid sachets, much like the other Wize Monkey blends that I’ve tried so far. The mint aroma is strong, I can’t quite pinpoint with my nose which mint that I smell though. 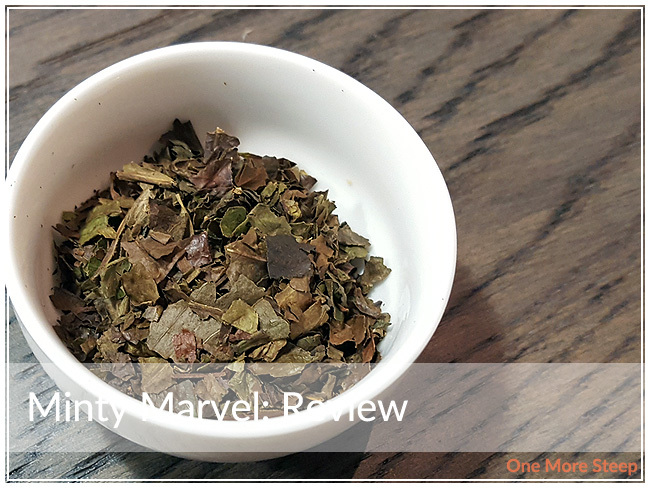 Minty Marvel consists of arabica leaves and natural mint flavour. Wize Monkey recommends steeping Minty Marvel at 95C (203F) for as long as you’d like. The fun thing about coffee leaf is that, unlike tea leaves, it doesn’t get bitter if it gets steeped for a long time. My initial steep of Minty Marvel was for 5 minutes. Minty Marvel steeps to a beautiful golden orange that is really pleasant to look at. The aroma from Minty Marvel is undoubtedly mint. I get the strong minty aroma right off the bat and it’s got a refreshing aroma that makes me think of summer. 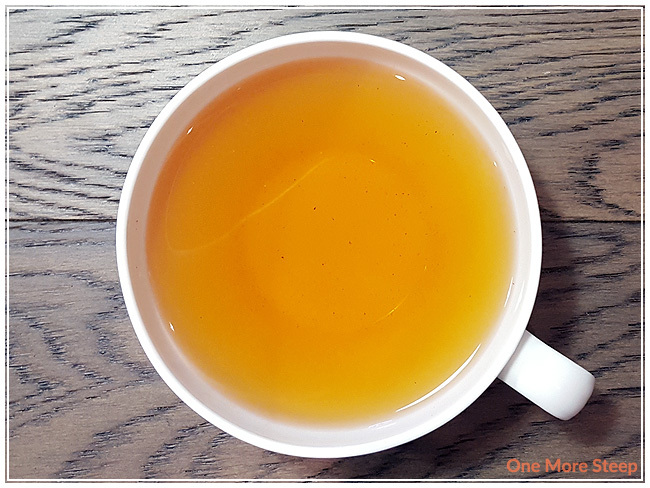 The flavour of this minty tisane is primarily that of the coffee leaf base, with a coolness that kind of just coats the inside of my mouth as I drink it. It’s not necessarily a bad thing, but it’s conflicting as I’m drinking a cup of hot coffee leaf tea while having this cooling sensation in my mouth. The coffee leaf base has a nice roasted nuts quality about it, and the mint flavour is just kind of hanging out at the end of each sip. 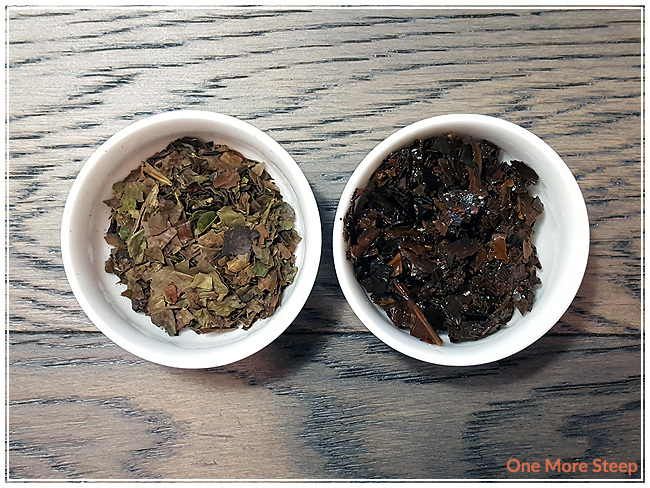 I resteeped Minty Marvel once, and found it to be mostly the coffee leaf base on resteep. I would say that Minty Marvel is good for one steep. 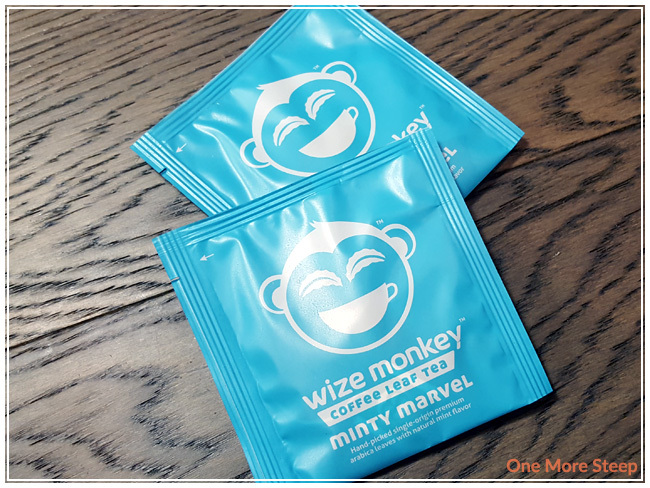 I thought that Wize Monkey’s Minty Marvel was just okay. I enjoyed the coolness from the mint flavouring, and the coffee leaf base was pleasant to taste. I wish the mint flavouring had been more pronounced, since it was aromatically present in the dry leaf and in the aroma of the steeped tea. I think it could be improved with the addition of mint leaves in the blend, or a heavier hand with the mint flavouring. 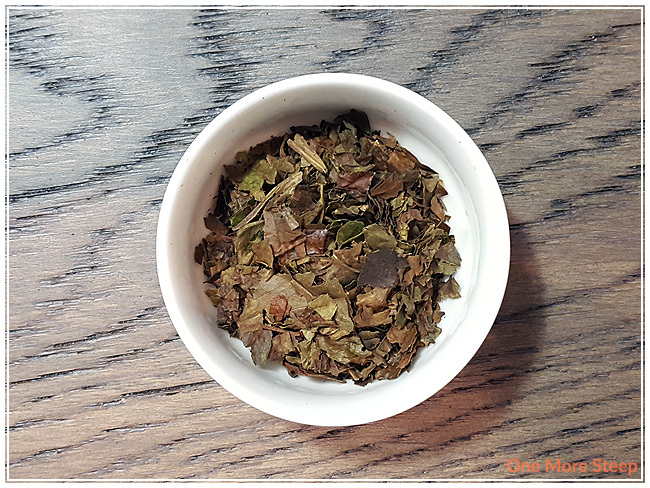 That said, if you’re a fan of the coffee leaf tea base, I think you’d be quite happy with this one since it retains the flavour of the coffee leaf quite well throughout.